In the summer, Tahoe Incline Sports rents out bikes by the hour or by the day. Choose from a variety of Trek and other bikes, from beach cruisers to road or mountain bikes. You’ll also find bike parts and accessories such as tires, tubes, locks and lights for sale. Get your rafts and inflatables here for floating on the lake or down the Truckee. Check out their wide selection of Tahoe souvenirs – t-shirts, sweatshirts, hats, mugs, glasses, magnets, post cards, keychains and more. 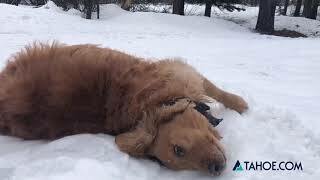 In the winter they’ve got skis and snowboards to rent out as well as snowshoes and cross-country skis. Gear up with goggles, gloves, knit caps and snow pants to keep you warm and dry. 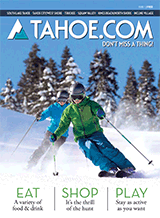 And when you’re ready to have some real fun, Tahoe Incline Sports sells sleds, saucers and other snow toys.